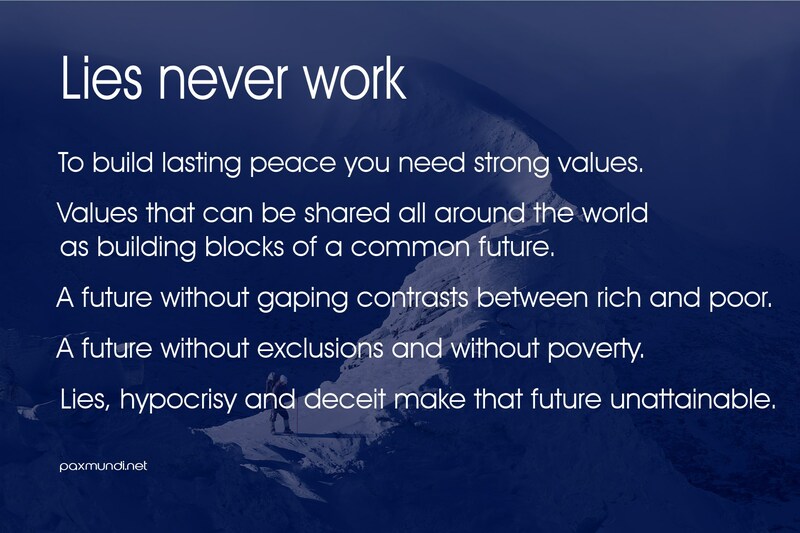 To build lasting peace you need strong values. Values that can be shared all around the world as building blocks of a common future. A future without gaping contrasts between rich and poor. A future without exclusions and without poverty. Lies, hypocrisy and deceit make that future unattainable.